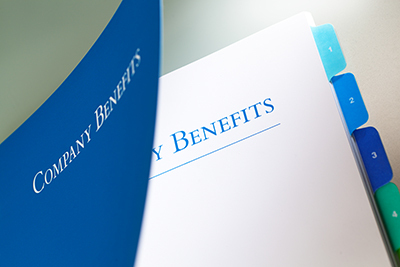 The new tax reform law is fueling changes to corporate America’s employee benefits, compensation, total rewards, and executive pay programs, according to a survey by Willis Towers Watson, a global advisory, broking, and solutions company. The survey of 333 large and midsize employers reveals nearly half (49%) of the respondents are considering making a change to at least one of these programs this year or next. Two-thirds of those (66%) surveyed are planning or considering making changes to their benefit programs, or have already taken action. The most common changes organizations have made or are planning or considering include expanding personal financial planning (34%), increasing 401(k) contributions (26%), and increasing or accelerating pension plan contributions (19%). Other potential changes include increasing the employer healthcare subsidy, reducing or holding flat the employee payroll deduction, or adding a new paid family leave program in accordance with the Family Medical and Leave Act’s tax credit available for paid leave for certain employees. Sixty-four percent of employers are planning or considering taking action on their broad-based compensation programs, or have already taken action. The most common changes organizations have made or are planning or considering include conducting a review of their compensation philosophy (43%), addressing pay-gap issues (36%), and introducing a profit-sharing or one-time bonus payout to all employees (21%). “The results of our survey, coupled with the actions taken by some large employers over the past few weeks, suggest that investing in their people remains a top priority. We fully expect most organizations will take the time to thoughtfully evaluate the impact of the tax law on their organization and then make changes that support their specific business strategy,” said Kathy Walgamuth, director, communication and change management, Willis Towers Watson. Willis Towers Watson surveyed 333 large and midsize U.S. companies to determine their plans to invest savings resulting from the change in the corporate tax rate under the tax reform law. The survey was conducted between January 10 and 17.